For July month we concentrate on rivers cruises for the most part. With the August BTN expects to offer the latest sea going ship deals and a review of Vision of the Seas by Wendy Long, the editor’s retired assistant, who with husband Peter, is just back from 12 nights in the Mediterranean. They had a fine holiday on one of RCCL’s smaller ships. 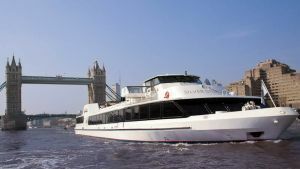 Last month leading river cruise company Scenic officially rebranded and celebrated with a trip on the Thames from London’s Charing Cross pier for the travel trade and media. It is just a pity that they could not bring one of their own boats up the river during a delivery voyage. Nothing wrong with the Silver Sturgeon (the name grated for some) but it is not the same as the Scenic ‘Space Ships’. Scenic is the up-market sister company to Emerald, launched last year as a quality 4-star operation. Scenic is one grade up with three alternative dining arrangements, butler service and a full courtesy bar. The rebrand represents one of the most significant milestones in Scenic’s history and sees a new creative direction for the travel company, which has seen rapid global expansion in the recent years. Scenic is rolling out its new look across all platforms including print advertising, website, social media, and a 140-page brochure, 5-star in itself. 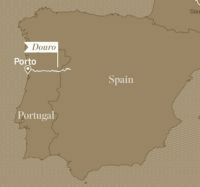 With this July issue of CRUISE NEWS, BTN features ON TOUR Porto and the Douro Valley, new for Scenic in 2016. Scenic Tours, as was, started out 29 years ago when Australian founder Glen Moroney travelled the Great Ocean Road for the very first time. The company is still based in Newcastle, NSW, but also has office in the very centre of Sydney. For the UK the base is Manchester. 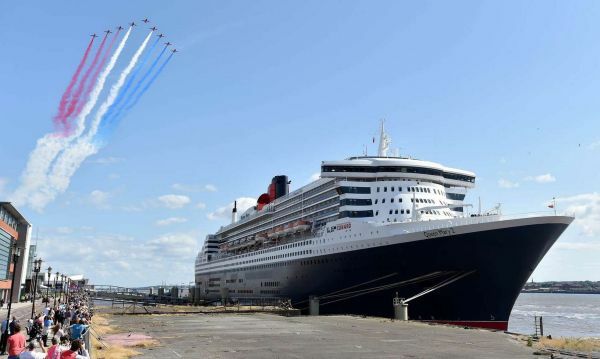 On Saturday QM2 left Liverpool on its first ever crossing the Atlantic from Cunard’s original home port. It was sold out. What made the departure even more interesting was it commemorated 175 years since the founding of the company and the 4 July 1840 departure of its first ship, Britannia, to Halifax Nova Scotia, Samuel (later Sir) Cunard’s home town. QM2 will follow the route (seven days rather than 30), and then head south to Boston before New York and a traditional arrival. Business Travel News readers can take advantage of a £2 offer for any of the three regional cruise shows scheduled for this autumn. 0871 620 4024. Offer ends 15 August 2015. If you use the Berlitz “River Cruising in Europe” by Douglas Ward please note the ratings top out at 500. With sea going vessels it is 2000. The following is just a selection from the large number of offers available through now until the end of the 2016 season. All the prices are for doubles and some companies have available single occupancy deals. BTN recommends a visit to the web sites for the lated prices and selection. EMERALD WATERWAYS launched in 2014 as Europe's latest river cruise line, has been very well received by the cruise market and travel trade. The all new ships include swimming pools that become cinemas in the evening. "Danube Explorer" gives guests the chance to soak up Europe's cultural treasures at leisure. From Passau to Budapest visiting destinations in historical Linz, Wachau Valley in Melk and Vienna, "Danube Explorer" gives guests time to savour the sights. From £1,395pp departing April 2016.